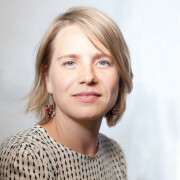 Trude serves as Project Officer at MVO Platform, a platform for trade unions and NGOs in the Netherlands focused on corporate social responsibility. Trude specialises in international value chains, corporate accountability, business and human rigths, project management, organisation and communication. Previously, she worked as a consultant for Fair and Sustainable Advisory Services and as a project officer at the Toekomstatelier Duurzaam Utrecht, where she strengthens local sustainability initiatives in the city of Utrecht. She also worked as a project officer at the Fair Fashion Festival and as a junior consultant at Warner Strategy & Fundraising and ICCO. Trude holds a Master’s degree in Organisation, Change and Management from the University of Utrecht. She also holds a Bachelor’s degree in International Development from the University of Wageningen.